With the end of tomato season in sight, our heirloom tomato expert surprised us with a bushel of Ray's favorite peppers! The shishito pepper! These Japanese peppers are small and fingerling sized, slender, and thin-walled. The name refers to the fact that the tip of the chili pepper looks like the head of a lion, and in Japanese it is often abbreviated as shishitō. 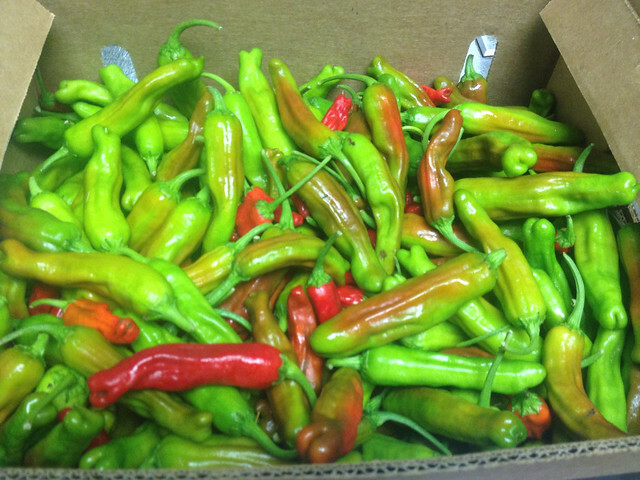 These peppers are typically not spicy, but one in ten may have some heat to it. 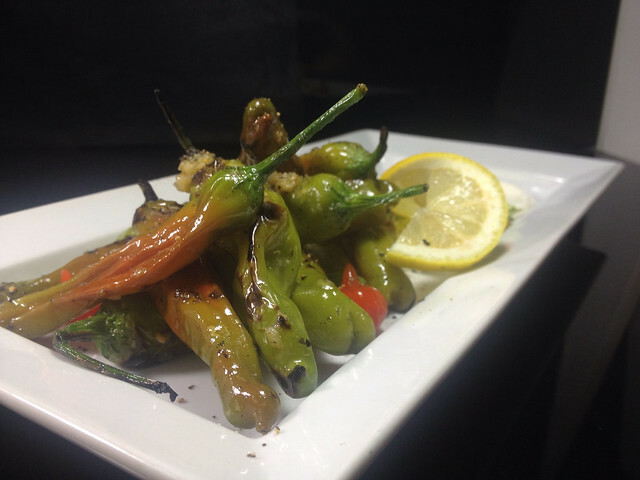 We toss the peppers in olive oil, garlic, sea salt and cracked black pepper. From there we blister them over an open flame. Served with sweety drops and a lemon goat cheese spread. Delicious. Hang to summer with a taste of the shishito pepper. This dish is simple, healthy and delicious!